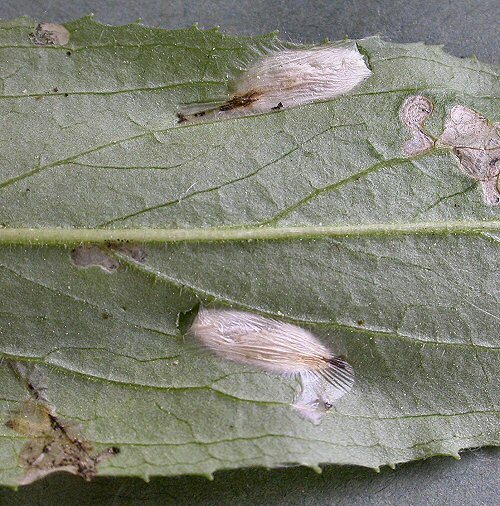 Pupa: Occasionally in a mined leaf or in a cocoon between the leaves or on the leaves (as shown). Notes: A narrow contorted gallery leading to a whitish blotch with scattered frass centrally. The early gallery can merge with the blotch and there are often several to a leaf.